As a licensed, clinical, professional counseling practice, we encourage people to consider healthy options for change and to decide how to change. We help people identify problems and find the spiritual and practical resources which will make life more manageable, and facilitate the healing process. In offering clinical, educational, training and coaching services, we’re committed to a practice that explores the needs that people find most pressing. Mrs. Hoy is the President of the Anger Management Institute. Lynette is a National Certified Counselor, a Licensed Clinical Professional Counselor in the State of Illinois. Lynette is a Diplomate, Supervisor, Consultant & Anger Management Specialist-V with the National Anger Management Association. She was recently awarded a Lifetime Achievement Award by NAMA for her contributions, outstanding service and ethical practice in the area of anger management. Lynette is a regular pre-conference workshop and Track leader for the AACC international conferences. Lynette was granted the designation as a Board Certified Professional Christian Counselor by the International Board of Christian Counselors. Lynette is the President of CounselCare Connection, P.C. and the Anger Management Institute. Mrs. Hoy oversees, authors and publishes all courses and training curriculum for both the Anger Management Institute and CounselCare Connection, P.C. Lynette was designated an Anger Management Specialist-V by the National Anger Management Association (NAMA) granting her the authority to certify Anger Management Trainers & Specialists (I-IV) through NAMA. Mrs. Hoy co-founded CounselCare Connection, an organization providing counseling services and resources for individuals and couples dealing with various issues. Lynette is a Critical Incident Stress Management provider, and a crisis counselor with R3 Continuum — a Crisis Care Network providing counseling and debriefing to various companies. Mrs. Hoy completed 111 hours of the GPSS Leadership Coach Training Program April, 2016. Lynette completed the 15 CE program in Anger Management for counselors offered by the American Counseling Association and the 15 CE course at the Cape Cod Institute: Therapeutic Approaches to Anger by Dr. Ron Potter-Efron. Mrs. Hoy presents the Anger Management Institute Trainer’s conferences & workshops which have been granted approval in 2006-2019 by NBCC – National Board for Certified Counselors – to award 12 CEs. Co-author of all four editions of What’s Good About Anger? Mrs. Hoy has trained hundreds of students and clients in anger and conflict management and has certified hundreds of leaders throughout the USA and Canada as Trainers in Anger Management. She has authored various expanded workbooks, training manuals and articles in anger management. Lynette is a Domestic Violence Advocate having taken the approved Domestic Violence 40-Hour Training program with the Chicago Metropolitan Battered Women’s Network. Lynette writes for the Godly Business Woman, American Association of Christian Counselors and other publications and has been interviewed on various radio programs and televised on Primary Focus. Lynette is a seminar presenter for AACC, Rapha, business, community, church and women’s groups! Lynette and her husband David have one married daughter and recently celebrated their 48th anniversary. Lynette has written for AACC publications. Contact Lynette Hoy for credit card phone orders or counseling services: 630-368-1880 or directly at: 708.341.5438. 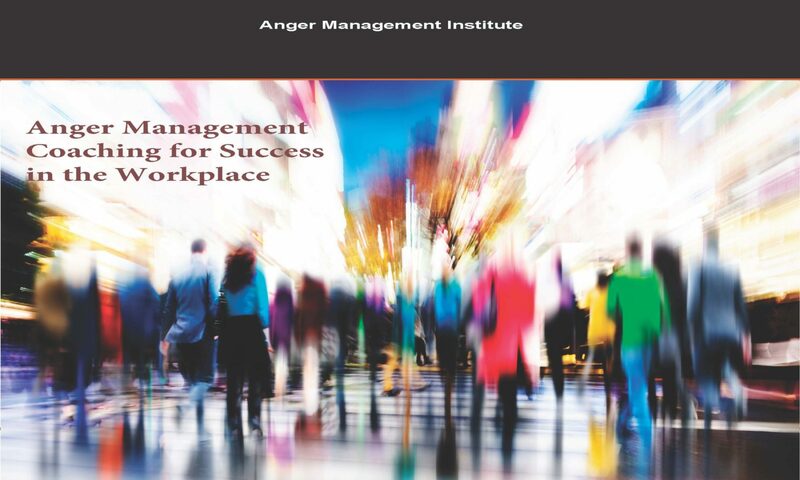 Steve Yeschek, LCSW, CAMS-IV: AMI Director of Anger Management Coaching, Consulting, Training and Mediation! Please contact Steve with any needs you have for on-site training, client/executive coaching, consulting, groups, assessments and educational workshops at: 815-451-8040..
Steve is an Anger Management Specialist, Diplomate, Supervisor and Consultant with NAMA & the Anger Management Institute. Mr. Yeschek is designated an Anger Management Specialist-1V by the National Anger Management Association granting him the authority to certify Anger Management Specialists through NAMA. Steve brings years of expertise and experience in training, coaching and counseling clients and groups in anger, addictions, mood and behavioral disorders and relationships issues. Steve has been the Director of the Chicagoland Rapha Treatment Centers and is an ordained Pastor . Steve is co-founder and Vice-President of CounselCare Connection, P.C. and co-presenter of the anger management Trainer-Specialist certification workshops. He has been trained in coaching and now offers coaching services to individuals, leaders and companies. Steve holds membership with the NASW, CAPS and AACC professional counseling organizations. Steve has presented various seminars and classes on crisis counseling & referral, stress management, conflict resolution, defusing anger and hostiliy, substance abuse, self-worth, shame, codependency, marriage, family, personal growth and relationship topics to Rapha, Sunday School Associations, Cook County Employee Assistance Program, Channel 38 counselors, substance abuse agencies and various other groups and organizations over the years. Steve practices out of the CounselCare Connection, P.C.-Anger Management Institute office location at: 1200 Harger Rd., Suite 602, Oak Brook, IL 60523; and Yeschek and Associates, 2615 Three Oaks Rd., Suite 2A, Cary, IL. He is available for on-site services, consulting, mediation and training. Contact Steve Yeschek directly at: 815-451-8040. Oak Brook, IL, March 21-22, 2019! 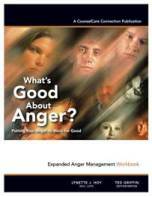 Obtain certification as an Anger Management Specialist-I or II. Approved for 12 NBCC CE hours, NAADAC, NASW CEUs and 13 IAODAPCA & NAMA CEUs. Register now!